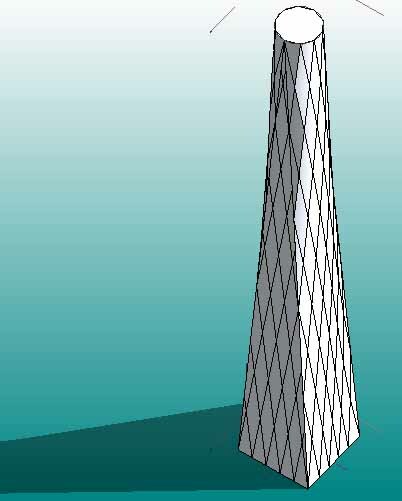 The shape of the tower, as it rises from a 70 meter square to a 40 meter diameter circle, at its top presents an efficient structure because it has been designed by parametric information. While the tapered form creates better mass distribution overall, the aerodinamic profile and smaller surface area at the top of the building avoid wind loads where they are greatest. At the base and the top of the tower, the curtain wall uses a custom-engineered, unitized cable-net system. 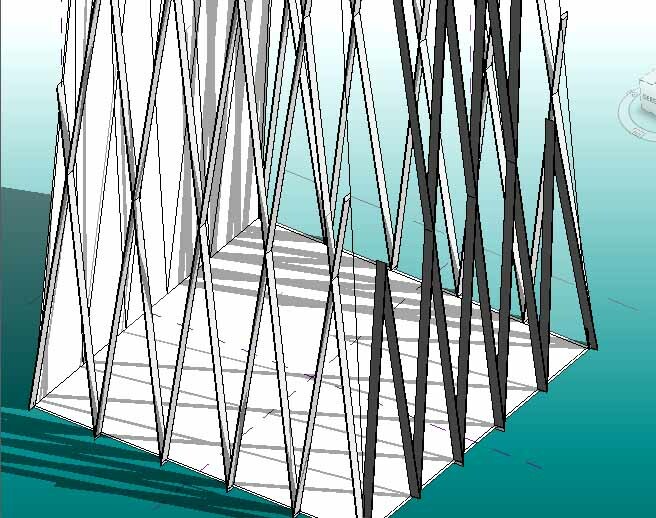 Tower’s core and shell structural system is engineered by REVIT to achieve a soaring height. A concrete core works with a steel diagrid shell that is expressed in a unitized curtain wall.